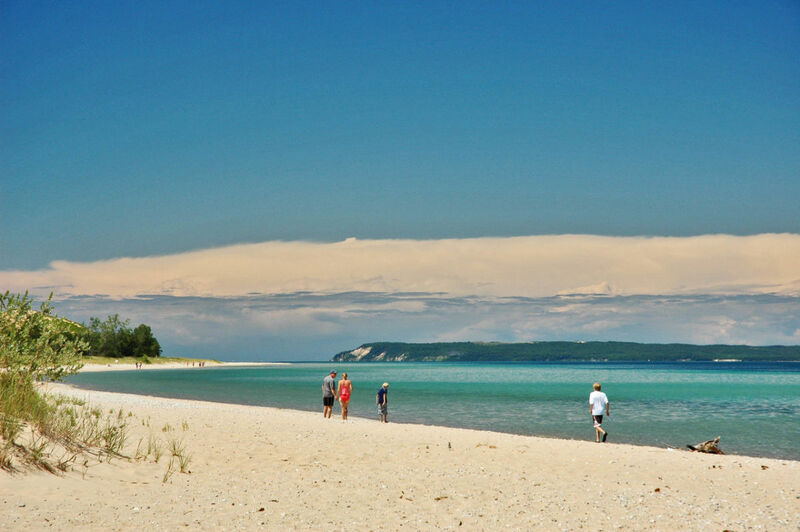 The Cannery Boat Museum in Glen Haven is located right on the Lake Michigan beach. Park your car in the parking lot and walk over the dune to the beach. From this beach, you can get a good view of the Manitou Islands, and you can see the pilings remaining from the old Glen Haven dock. Take a few moments to read the interpretive sign under the shade tree by the parking lot. It shows a picture of the dock as it was in the early 1900's with a passenger ship docking. There are restroom facilities in Glen Haven near the General Store.